Special Containment Procedures: As SCP-206 is currently unable to be secured, an information suppression plan has been put into effect to conceal its existence. Frequencies known to be used by SCP-206 are to be monitored, and all images relayed to Earth via other probes or satellites deleted from non-Foundation assets after they have been retrieved. 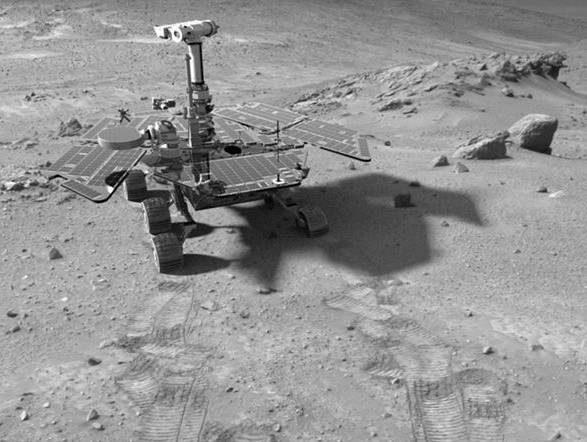 Technology and astronomy websites, journals and periodicals are to be monitored for discussion of the rover or the receipt of unusual photographs (see Document 206-AA12 for complete list). Persons who become aware of the existence of SCP-206 are to be administered amnestics. UPDATE - 30/11/20██: As orbital observation of SCP-206 has proven possible, agents within satellite and aerial imaging organizations are directed to keep watch for instances of SCP-206, and remove the images concerned. Deployment of 'image corruption' cover story suggested. Description: SCP-206 is a Martian exploratory rover (Designation - Invictus) launched on 12/08/20██ as part of a joint Russian Space Research Institute / European Space Agency effort. (Exact object specifications are listed in Document 206-AA1.) Despite a successful launch aboard a Soyuz-FG rocket, telemetry data was lost on 16/01/20██, roughly halfway to Mars. Attempts to re-establish communication failed, and on 10/02/20██ the craft was declared lost. On 08/06/20██ (a day after Invictus was planned to arrive on the Martian surface) a connection was established with ESA flight control on the rover's assigned frequency. Before terminating at the source, 38 photographs were transmitted, appearing to show views of the expected landing zone in the Victoria Crater. Three days later, a further batch of 11 images was received, showing a drastically different location (later determined to be in the Cydonia Mensae, roughly 2500km due south). The Foundation was informed of the incidents by operatives at the ESA shortly thereafter, and moved to investigate. Containment procedures were instituted on 21/06/20██, when ESA Control received a batch of 5 images showing panoramic views of the Martian surface, apparently taken from its satellite Deimos. How the rover (which, as designed, is rated at maximum speed of 90m per hour on flat ground) traveled between these locations is currently unknown. SCP-206 contacts Earth sporadically, utilizing its original channel, [DATA REDACTED]. Once a connection is established, it uploads a number of images in varying formats. Pictures received do not always correspond to the hardware originally installed on Invictus, though the signature and session initiation packets match those programmed. Tracking stations have received a total of ████ images. A large number of these images (roughly 38%) appear to have been taken on Earth, or worlds similar to it (differing in some detail). The remaining photographs seem to have been taken on, or in the region of, various celestial bodies, only a small percentage of which are currently identified. Periods between transmission vary considerably; the shortest registered to date is 26 hours, the longest 511 hours. Despite visual confirmation of the existence of something resembling the rover (see Addendum 206-1) no trace of it has been found in the received images, even when the scene includes a reflective surface. Further, a number of photographs show locations exceedingly difficult, if not impossible for a rover the size and shape of Invictus to access. Addendum 206-01: At the time containment procedures were instituted, it was unknown whether the transmissions originated from the probe itself, or if an unknown entity had simply co-opted the frequency and was impersonating the rover. 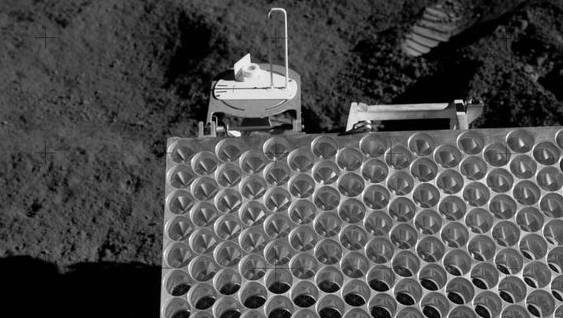 However, on 13/08/20██, SCP-206 transmitted a photograph of what was identified as a portion of a Lunar Ranging Retro Reflector. Nearby orbital assets were re-tasked to survey the relevant regions, revealing tracks closely resembling those a rover the size and shape of Invictus could be expected to leave. On 30/11/20██ Japanese lunar orbiter SELENE captured the vehicle itself during a camera calibration session over the Copernicus Crater. Four hours later, SCP-206 uploaded a new image showing a view of the same region. Since then, SCP-206 has been captured by several satellites in various locales - see Sighting Log SCP-206. Addendum 206-02: Though SCP-206 generally uses [DATA REDACTED], on at least 5 occasions images have been transmitted to (or via) civilian or military space assets. No connection between the image sets in question has been found. See Incident Log SCP-206 for more details. 21/06/20██ 1 The first single-image set, showing the rear of the Spirit rover, which was, at the time, traversing the Gusev Crater. No anomalous readings or images were reported from Spirit. 07/07/20██ 1 Ruins of the temple of Mars Ultor (Rome, Italy). This is the first image sent by SCP-206 that shows a place on Earth. 13/08/20██ 1 Single image showing the top left portion of a Lunar Ranging Retro Reflector. Later identified as belonging to Apollo 15. Image displays qualities consistent with being taken by a Hasselblad 500/EL data camera, a device not fitted to Invictus. 07/02/20██ 1 29 boxes with light bulbs. The place was not actually determined; judging by the doors it's a subway entrance in one of the Northern hemisphere cities. 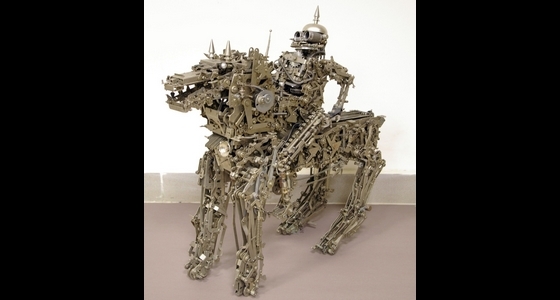 11/02/20██ 1 A metal construction of a humanoid figure on a horse-like four-legged creature. Both the "rider" and the "horse" seem to be composed of multiple small details. 21/04/20██ 1 Tractor (later identified as a Universal model) on the porch of the Belgorod regional study museum in Russia. 24/02/20██ 1 Mount Rushmore with the face of Jefferson Davis instead of Abraham Lincoln. One of the first photographs to depict an Earth different from the 'original'. 03/07/20██ 1 Moscow Kremlin. The image appears to be taken from the Greater Stone Bridge. The walls and towers are white, although judging by the vegetation and people caught on film, the time the image was taken is consistent with the time it was received. 01/08/20██ 1 A small football field, exact location unknown. It should be noted that all people and some objects depicted are lacking shadows. 30/11/20██ 8 The Moon, Copernicus crater. Japanese space probe Kaguya has caught SCP-206 on camera here approximately at the same time. .
07/06/20██ 1 Two broken TV sets with a house cat (Felis silvestris catus) sitting on one of them, looking sideways. 29/07/20██ 1 A scattering flock of doves. The place was later recognized to be the Cathedral Square, Belgorod, Russia. 02/04/20██ 3 Interior of the Kostnize church, Kutna Hora, Czech Republic. The interior looks like the actual church, but some of the skulls can be seen having three eye sockets.